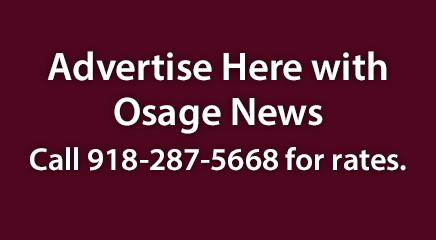 The Oklahoma Historical Society invited Osage officials to its 151st Anniversary Commemoration of the Battle of Honey Springs. The battle, fought on July 17, 1863 in the Civil War, was a pivotal battle securing Indian Territory for the Union. The battle, which took place about 15 miles south of Muskogee and is named for the nearby water source of Honey Springs, was also the first time white soldiers were the minority in a battle heavily fought by African Americans and Native Americans. It is believed that Osage members were involved in the battle along with members of the Five Civilized Tribes. It is unknown which side the Osage fought on, but Executive Director of the Oklahoma Historical Society, Bob Blackburn, believes it was with the Union. During the anniversary celebration the battle was reenacted and a groundbreaking for the construction of the “Leroy H. Fischer Visitors Center” and museum took place. In attendance for the Nation on July 19 was Osage Minerals Council Chairman Everett Waller, Wah-Zha-Zhi Cultural Center Director Vann Bighorse, ON Trial Court Chief Judge Marvin Stepson and Government Affairs Advisor Johnny Williams. Stepson served in the Vietnam War as a Specialist 4th Class and Williams also served in Vietnam War as a Army Green Beret combat medic in the 5th Special Forces Group. The celebration had a Veterans Honor Guard and Color Guard where the period battle dress of both the Union and Confederate armies were worn. Both sides fired weapons during a salute. This was done after recognizing the Veterans in attendance, including Stepson and Williams. Food and refreshments were served at the celebration and visitors were offered a tour of the battleground as well as the upcoming Visitor’s center and museum. The Oklahoma Historical Society purchased the first 20 acres of land on which the battle was fought in 1964. According to okhistory.org, the Battle of Honey Springs was the largest or more than 107 documented hostile encounters in Indian Territory. “Cherokee and Creek regiments fought on both sides. There were approximately 9,000 men involved, including other American Indians, veteran Texas regiments, and the 1st Kansas Colored Volunteers (the first black regiment in the Union army),” according to the site. 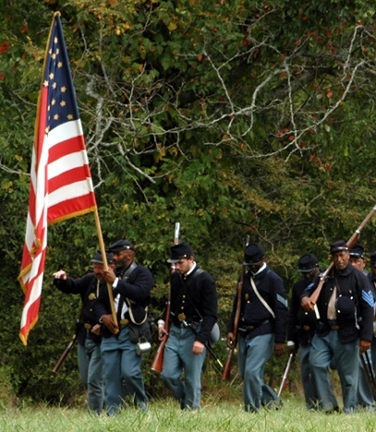 The OHS holds a reenactment of the battle each year in July at the Honey Springs Battlefield site. The site currently is 1,100 acres, has six walking trails with a total of 55 interpretive signs to guide visitors along. To learn more about the Honey Springs Battle and the battlefield contact the Oklahoma Historical Society at (405) 522-5202 or bblackburn@okhistory.org.